According to the Radio Times, The Doctors Revisited specials are coming to the subscription channel Watch as part of the celebrations. The specials were first aired each month this year, alongside a chosen story from each era, on the run-up to the 50th Anniversary this November on BBC America, much to the joy of the fans who received BBC America and the envy and criticism of the fans who don't. According to Watch's website, The Doctors Revisited will begin airing with the First Doctor's episode on Saturday 12th October at 2pm, followed by The Aztecs. 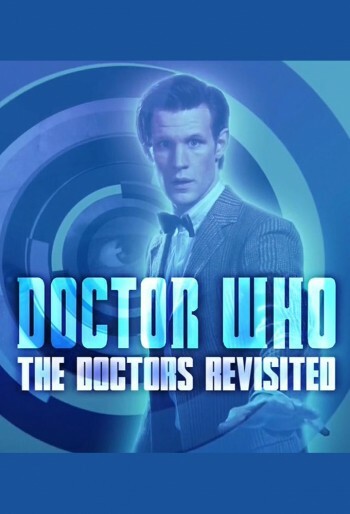 While not part of the revisited series, it will then show Doctor Who: The Companions will follow at 4.30pm and Doctor Who Explained at 5.30pm. The Second Doctor's revisited episode will then air the following day, Sunday 13th October, at 2pm with Tomb of the Cybermen following. The Third Doctor's will air on Saturday 19th October at 2pm, with Spearhead from Space afterwards, and the Fourth Doctor's will air on Sunday 20th October at 2pm, with Pyramids of Marks succeeding. It can be presumed that the rest of the Doctors will follow suit and will end the week before the 50th. Are you happy at this news? Glad that it's airing in the UK at last or annoyed that it's on a subscription channel, where a lot of people can't see it with too little, too late? You can see the other celebratory shows here. So basically, these are clip shows followed by complete stories that have been on DVD for years? What is there to get remotely excited about? The people most likely to watch this stuff will already know it all backwards.